If you’re looking to use your honeymoon as an opportunity to travel to a land with a rich culture much different than your own, a Spain honeymoon might be for you. If you’re looking to use your honeymoon as an opportunity to travel to a land with a rich culture much different than your own, a Spain honeymoon might be for you. The Kingdom of Spain, which is its official title, is the second largest country in the European Union, after France, spanning a whopping 505,955 square kilometers. Naturally, all parts of Spain are quite different from each other—and there are 17 of them to be specific! In northern Spain, you have Galicia Asturias, Cantabria, Basque Navarra and part of the largest region, Castilla y Leon, which stretches in towards the middle of the country. To the east, you have Catalunya, which is home to one of Spain’s most famous cities, Barcelona. Towards the west, you have Extremadura, also a relatively vast region, and in the south you have Andalucia, which is home to two of the country’s most romantic cities, Granada and Sevilla. The small region of Murcia lies to the east of Andalucia along the coast. Other regions include La Rioja (famous for its wine! ), Aragon, Valencia and the Balearic Islands. While all regions are worth traveling to, we’ll narrow down the hottest spots for a Spain honeymoon below. Like most areas of Europe, spring and fall are most ideal for honeymooners—and Spain is no exception. However, since the country has a mostly warm Mediterranean climate, the other months of the year will still be pleasant. If you’re looking to take advantage of the country’s vast coastline, you may want to book your trip between June and August so you can enjoy the most ideal beach- and poolside weather. 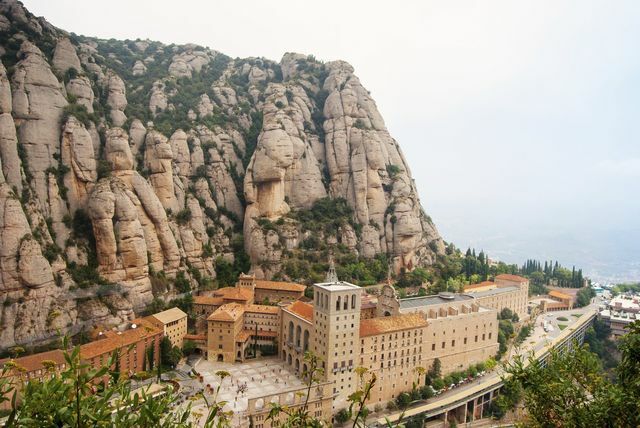 A Spain honeymoon wouldn’t be complete without a visit to this famous Catalonian city. Though it belongs to the Kingdom of Spain, Barcelona has its own language called Catalan, though many of its residence also speak Spanish. 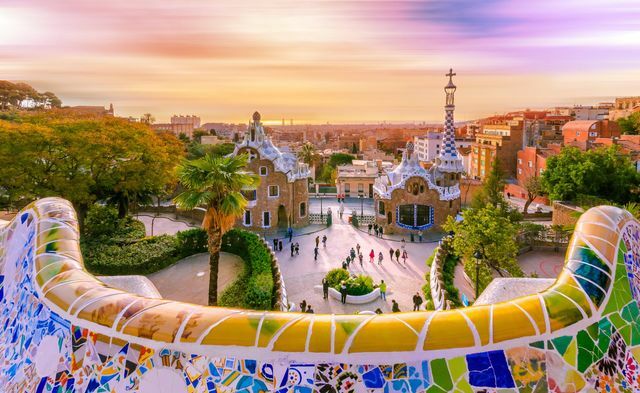 There’s much to see and do in the cosmopolitan city of Barcelona, and much of it was designed by famed architect Antoni Gaudí, such as Sagrada Família, Casa Batlló, Parc Güell, Casa Milà and more. The city oozes unique architecture from every corner, which matches well with the eclectic personality of the locals. You will find some of the most friendly people in Barcelona who are always willing to lend a helping hand or guide you in the right direction should you get lost. Don’t miss out on some local fare, from paella and bombas to calçot and esqueixada. As the country’s capital, Madrid is not a city to be missed during your Spain honeymoon. It’s much larger—in fact, it’s the third-largest city in the European Union after London and Berlin—and has a far more tourists and people. In fact, the center of the city, a hub known as Puerta del Sol, is almost as bustling as New York City’s Times Square. Despite commonly being grouped together, Madrid is quite different than the equally famous Barcelona. The architecture is more classic European and showcases the heart of the old city, with far fewer skyscrapers than Barcelona. Take a stroll through Plaza Mayor, which is about to celebrate its 400th birthday, Buen Retiro Park and the shopping district along Gran Vía. Other top sights include the Royal Palace of Madrid, Museo Nacional Del Prado and Temple of Debod. When it comes to the Balearic islands, which sit in the western Mediterranean Sea, Mallorca is a bit of a hidden gem. While Ibiza gets the most of the attention, for its lavish parties, the most notable of them being Yacht Week, Mallorca is more serene, with its seaside charm and rolling hills. It’s only about a 45 minute flight from Barcelona and is loaded with over 200 beaches that are even more beautiful than you can imagine. This is the Spain honeymoon destination for you if you’re looking for less hustle and bustle and more relaxation. Still there are many sights to see including Palma Cathedral, Cuevas del Drach, Bellver Caster and Santuari Lluc. Majorca, Spain honeymoon in October?